The first time I watched anime, I was about 6 years old. In France, there were anime like City Hunter or Captain Tsubasa, which aired on TV and I just ended up watching them when I had time. In middle school, I became friends with others who I could talk about anime and we spent our time advising each other about anime we should watch. Since then, I wanted to learn Japanese. I was living in a small city and there were no possibilities for me to take Japanese classes. So I just tried to learn by myself with some lyrics of Japanese songs and their translation. In school, I ended up as “the girl who is learning Japanese”. One of my only reasons to go to the University was to learn Japanese. And because of my classes, I became more and more interested in Japan and began wanting to go there. Just before graduating, I had to do an internship which I naturally decided to do in Japan. The search for an internship was difficult, but I was finally able to live in Tokyo for three months. Since then, I totally fell in love with the country and as soon as I came back to France, I did my best to save money in order to be able to get a working holiday visa and go back to Japan, again. Last year in February, I finally came back to Japan with a friend and I am still living here. Oz Vessalius is the sole heir of the Vessalius family, one of the four ducal family. On the day of his fifteenth birthday, he has to complete a ceremony which will recognize him as a grown up. But during this ceremony, Oz is attacked and sent to the Abyss, where the worst criminals are sent. Rescued by a strange entity named Alice, he escapes the Abyss and will try to discover the truth beyond his crime. 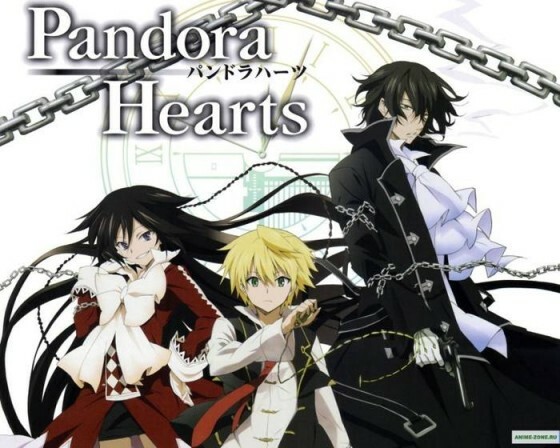 With a lot of inspiration from the universe of Alice in Wonderland, Pandora Hearts is an interesting show because of the story it offers and, particularly, because of the mysterious and/or lovely characters that we can see evolve. Every character has a hidden past to deal with and most of them are linked without them knowing it. 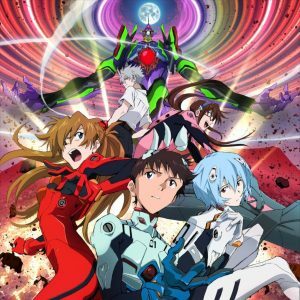 Despite the serious scenario of this anime, some humorous parts keep the viewer focused and are there to lighten the dramatic aspect. 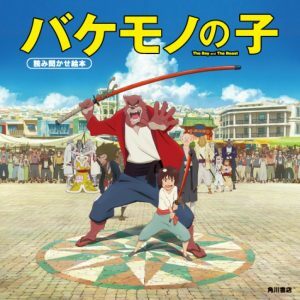 The character design is beautiful and the voice casting is also adapted to each character. 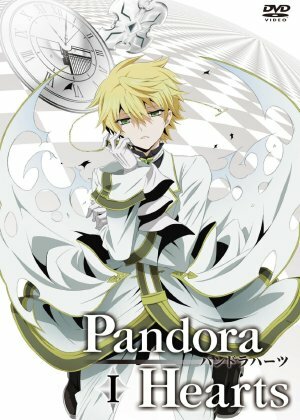 Onodera Ritsu is transferred to the publishing company Marukawa Shoten, after being able to work in his father's company until now. 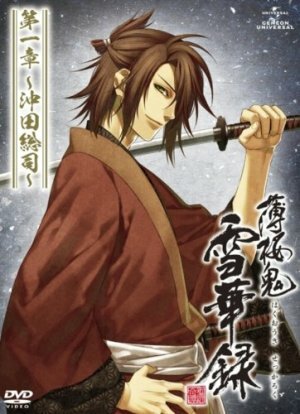 Though he was in charge of editing novels in the previous company, he is now assigned to the Shoujo manga section, which is only composed by men. 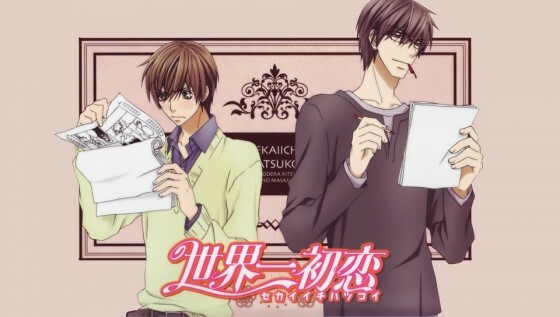 After meeting his chief editor, he finds out that he is actually the senior in high school for whom he had a crush. 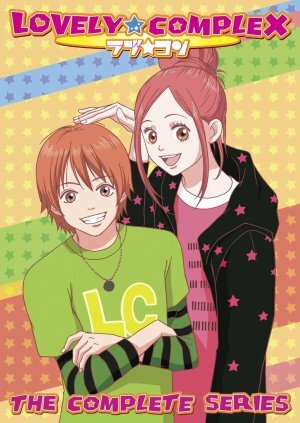 Famous in the Boy's Love genre of anime, the atmosphere of the show is deliberately sparkling and pinky in order to bring out the most of the humor aspect. 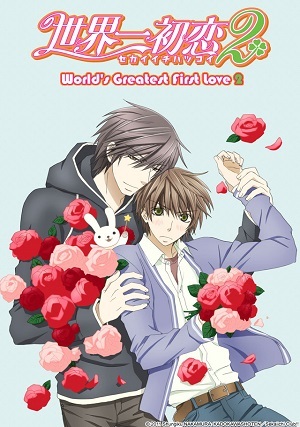 Centered mainly on three different relationships between the main characters, each of them are full of cute and lovely scenes, mixed with humor. In each relationship, one of the character is always worried about his current situation, mostly being about common concerns that everybody thinks about in daily life. So the viewer can easily empathize about it, even though it is a Boy's Love story. Yukimura Chizuru lives in Edo with her father. When this latter goes to Kyoto, Chizuru loses contact with him and looks for him. As she arrives in Kyoto, she is attacked by strange men and then saved by the Shinsengumi. The members, debating on what they are going to do with her, decide to keep Chizuru under their protection when they learned her father is the doctor they are looking for. First of all, the story is interesting in a historical point of view. 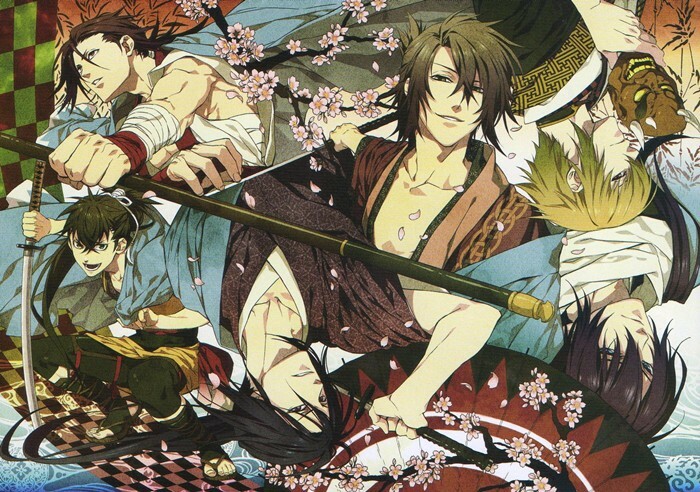 Each member of the Shinsengumi really existed, as well as most of the events detailed throughout the show, except of course, the supernatural events. 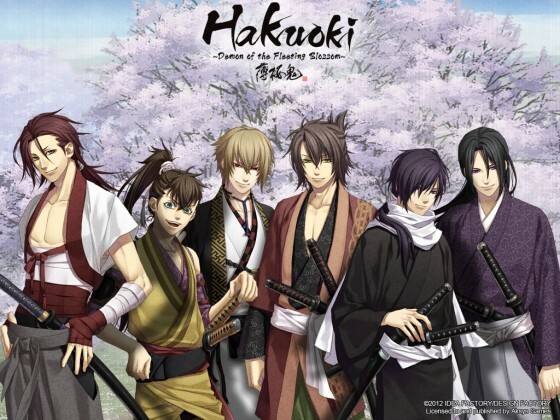 In order to discover old Japan and the Shinsengumi in it, Hakuouki is worth seeing. 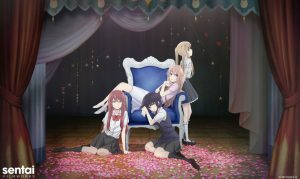 Even if this anime is a reverse harem, the plot is mostly centered on the story than the relationship between the heroine and the male characters, so everyone could watch it and find it interesting. Actually, the historical events and the action scenes are more present than the romance, so it is quite easy to enjoy this show. Koizumi Risa is 170cm tall, whereas Ootani Atsushi is 156cm. Each of them have a complex issue about their height. In the same high school class, they are seen as a comical duet by their classmates and teachers because of all their arguments. When summer comes, the two of them fall in love with another student of their school and decide to support each other to achieve their love. Despite the serious speech about one's complex, the story is only about humor and there is not a single episode which is boring. Each character is lovely and has a particular temper that easily makes the viewer like them all. 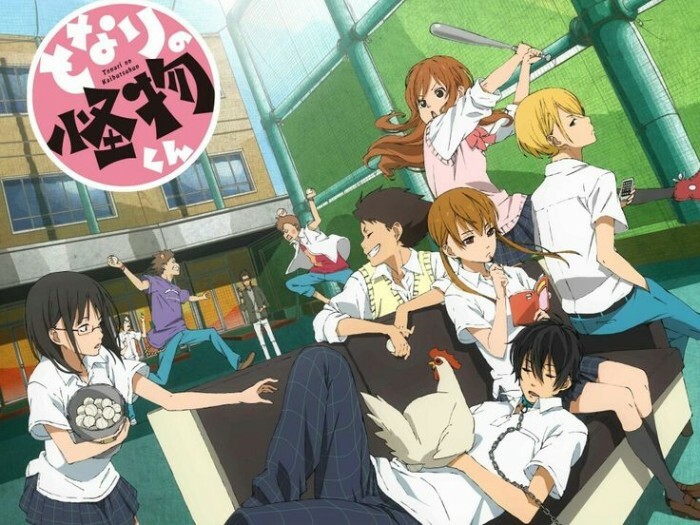 The setting of the show is quite simple since it is about the daily life in high school, but there is always something interesting throughout the show. It is easy to watch for those who don't really want to think too much about the plot. 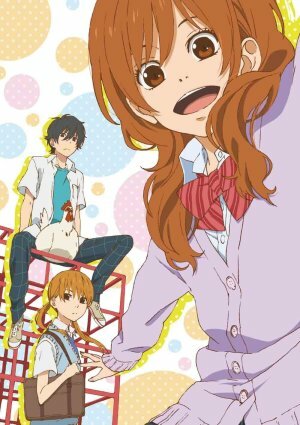 Mizutani Shizuka, called “Dry Ice” by her classmates, is a high school student who seems emotionless and only cares about her studies. When her teacher asks her to bring some printouts to a student, she meets Yoshida Haru. At first, the boy runs away from her before suddenly deciding they are friends. 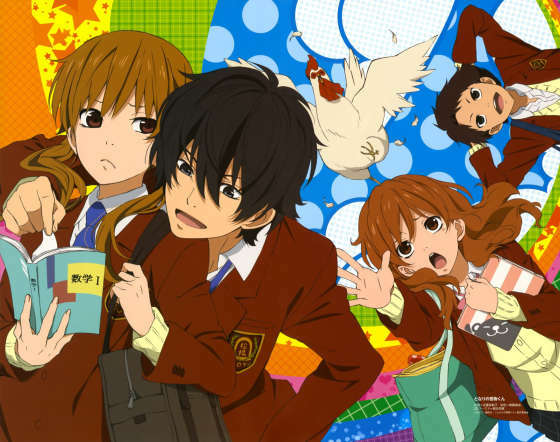 Haru decides to come back to school because of Shizuku, and now will have to endure his particular temper. 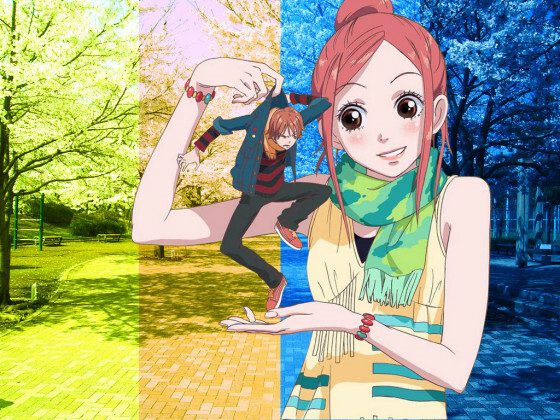 My Little Monster is a fresh rom-com that anyone can enjoy and watch until the end. The story may seem simple, but it works mostly because the characters are real in their gestures and conversations. 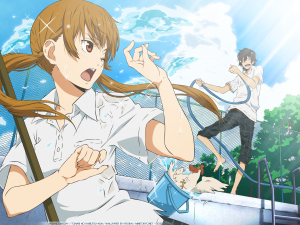 Moreover, the atmosphere is lively and unlike some other school anime, you really have the impression of being in a school. The main characters have particular tempers and is really moving to see them evolving in their own way, as well as seeing how they interact with the other characters of the show. You can literally see them becoming adults and it is wonderfully done. Anime is just like a world full of dreams. Though there are a lot of different genres, we just have to pick up one kind that we like and enjoy it to the fullist. For non-Japanese people, it is a good way to discover Japan, as well as the Japanese way of thinking. For me, I think anime fans are probably more open-minded because there are a lot of messages that we can learn while watching anime. I read a lot of manga as well, and sometimes watch some dramas, but it is a completely different world. 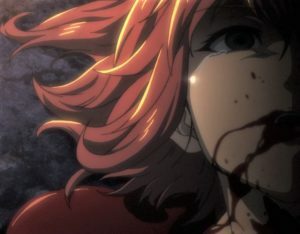 Anime can do what manga and dramas cannot, like transmitting a deeper message with the music or to a typical anime character's face. Anime will always keep me dreaming and this is why I will continue to watch them from now on. 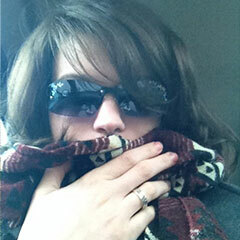 I am a French girl of 23 years old. I was 7 years old when I saw my first anime and since then I couldn't stop watching anime. This is also the reason I decided to learn Japanese so I entered the university. Just before graduating, I had an opportunity to do an internship in Japan and I was clearly the otaku type, spending a lot of time and money on my passion for anime. As soon as could, I return Japan and here I am now !